Diagnoses why processes are experiencing disruption and helps identify short-term fixes and define longer term plans to develop more flexible production processes. Problems or disruptions that cause processes to underperform. How frequently processes suffer from the identified disruptions. 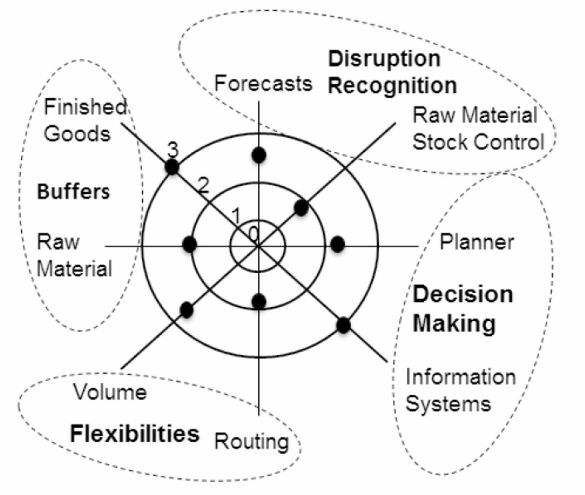 The effect or impact of the disruptions on process performance. 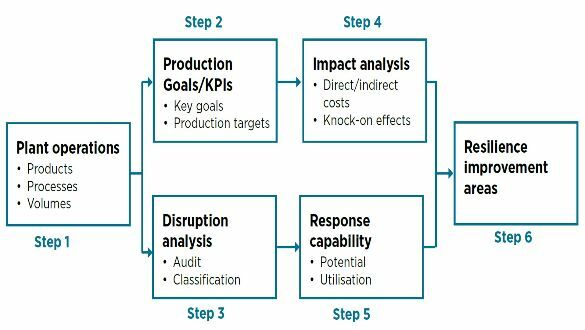 The resilience capabilities that processes have for handling the disruptions.